I spent the past year living and working in Doha, Qatar. Some of the most common questions that I get asked about my time there are about alcohol, so I figured I would write a post talking about alcohol in the country. First off, yes, there is sharia law. However, the country is full of expatriates from nations accustomed to drinking, and so, there is some limited alcohol available legally. There are two ways alcohol is available for purchase in the country: From an alcohol store only open to permanent residents (with a bunch of restrictions) and from the premises of 4 or 5 star international hotels. 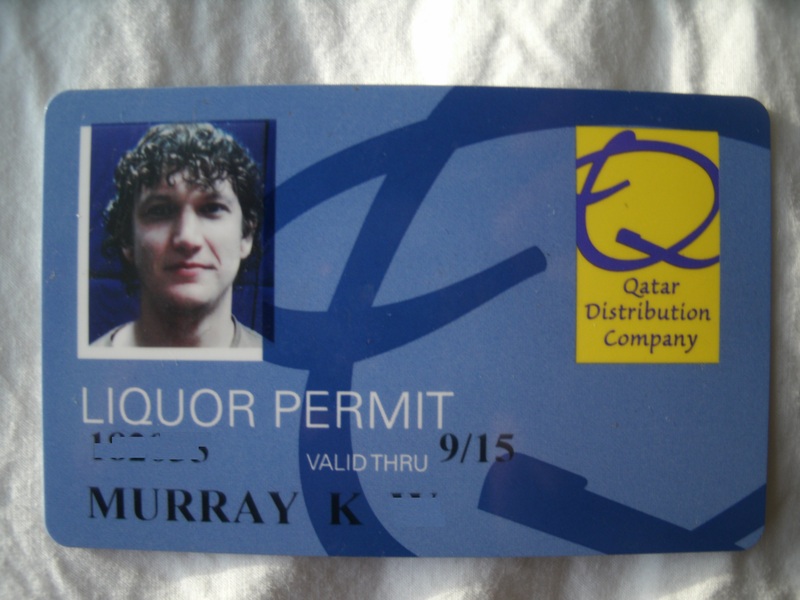 The first option to get alcohol is from the Qatar Distribution Company on the far outskirts of Doha. It is the one liquor store in the entire country ... and this is difficult to get access to. You need your Residence Permit (RP) which generally means you have to be in the country with a work contract of an extended period of time. You also need to get permission from your sponsor (employer) which says that they do not object to you drinking. In that letter, it states your monthly income as well. To get access to the store, you need the letter, your Residence Permit, and a 1,000 QR ($300) deposit. You then have a quick interview in an office upstairs where you have to attest that you are not Muslim. If you break any of the rules such as getting caught giving alcohol to anyone who is not an immediate family member, you lose your license and the deposit. Yes, that is correct. I am licensed to drink. You are able to only buy a certain amount of items at the store each month. It is a function of how much money you make, your living costs, and if you have a family (they want to make sure you can still support your wife and kids in spite of your evil habits). The store is not open during the Holy Month of Ramadan, so as that nears, the lines can get quite long at the store. They do let you use your allowance for that month in advance at the store. Also, no bars are open during Ramadan, so this is the only place to get alcohol for that time period. The second option for getting alcohol in Qatar is to go to one of the 4 or 5 star international hotels and visit their restaurants and bars. This is definitely the more expensive option. Beers are around 50 QR ($13) each, and prices generally only go up from there. However, these bars do not require any residence permit or permission from an employer, so for many people, it is the only option to get alcohol. If you have a Residence Permit (RP), this will count as your ID into the place, so you don't have to carry your passport around. If you don't have an RP, you need your passport. Even having a Qatari driver's license does not count. Technically, your passport is only good for entrance for the two weeks since your embarkation visa stamp, but I never saw this enforced. Inside the bars is very similar to bars anywhere else in the world. Generally, there are a lot of men as the country has a large gender imbalance. Aside from that, and the expensive drinks, the rest of the atmosphere is quite standard. Inside of Champions. You can really see the gender imbalance in Qatar. One of the interesting things about the bars is that they do not want the Western influences to affect Qataris and other Muslims. As such, you cannot enter wearing traditional Arab clothes. 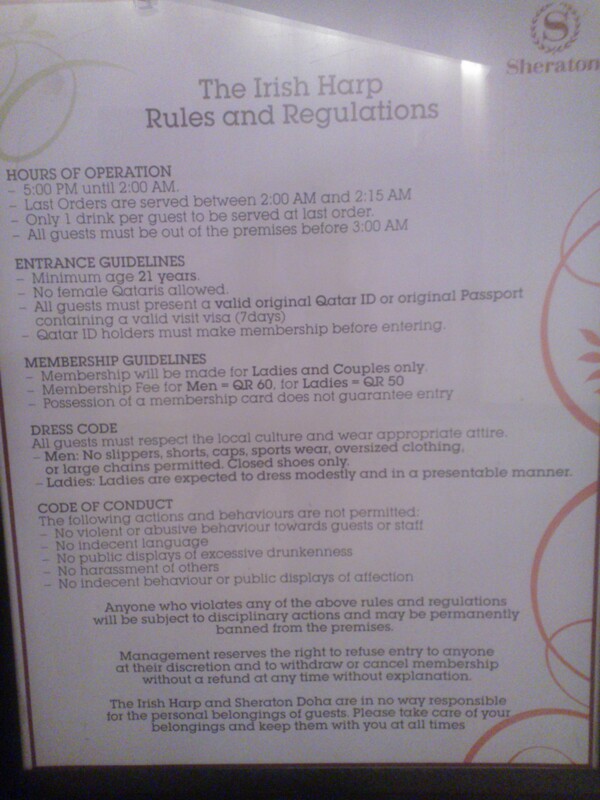 Also, there makes for some interesting rules about what you can and cannot do in the bars. However, most of those do not seem to be actively enforce. The weirdest thing to me as a foreigner was that Qatari men were allowed in if they dressed like Westerners, but Qatari women never were. Someone told me, and I have no idea how true this is, that Qatari women will get fake IDs from Kuwait to get into the bars. Seeing as how protective all of the Khaleeji (Arabian Gulf) Countries are of their women and that Kuwait is completely dry, I am a bit skeptical about this. Even if you think you know all the rules, somedays the bars will still be closed. I've compiled a list of many of the bars across Doha. The list isn't comprehensive, and mostly focuses on bars near West Bay where I lived. Many of the hotels have additional bars on their premises, but I generally choose the one I liked best. Also, things change without notice in Qatar, so I don't know how long this list will be valid. One day, one of my favorite bars (The Irish Harp) closed without any warning. Another time, the law changed and alcohol was prohibited near beaches and pools. Regardless, this should serve as a semi-decent list of places to go for some time. You should be aware that there is generally a dress code. At a minimum, pants for men. Some places care about sandals, some don't. I was asked to leave Strata once for having sandals on, so it is smart to show up with shoes (even though sandals are perfectly formal most of the time in Doha). Other friends have been not allowed in to some bars for having t-shirts on, so for men, a button down shirt is recommended. 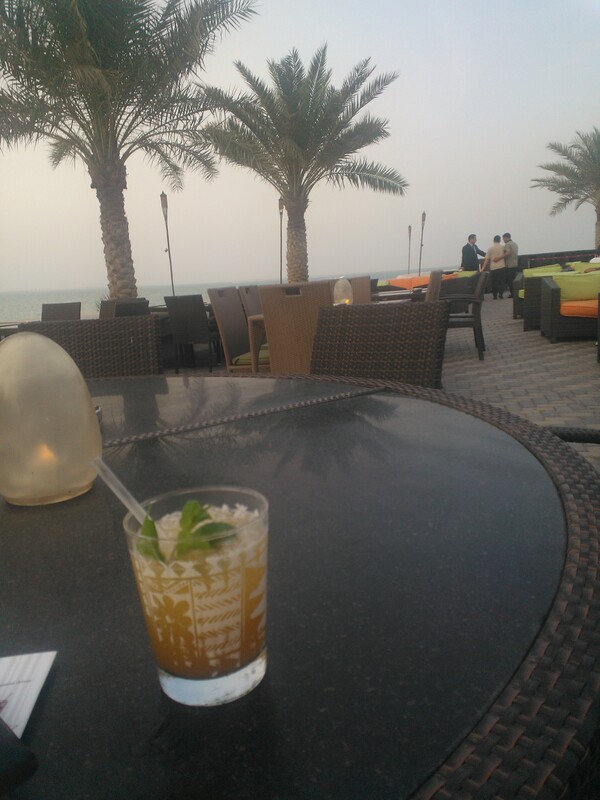 This was one of my favorite places in Doha because of the location. It has a beautiful location overlooking the water. Out back, it has a gorgeous pier extending into the water and a table out there in the late afternoon is heavenly. You get some great views of The Pearl and West Bay, plus some nice breezes coming across from the water. Trader Vic's is tropical themed, and they have some very strong Mai Tai's and other tropical drinks. I can't remember the name, but they have an extremely strong rum drink served in a fake coconut. You will see everyone with one of those and can just ask the waiter or waitress for one. They also have some good rum punch bowls for the table to share. Most nights, they have Salsa dancing and a live band. The bar can be a bit kitchy and tourist trappy looking from the decorations inside - so I did assume it was just a chain bar attached to most Hiltons. However, though it is a chain, most of their locations are in the Middle East. Regardless of the kitchiness, Trader Vic's is in an awesome location and well worth a visit. My coworkers and I used to meet here Thursday nights after work (work week ends on Thursdays in Qatar) and go swimming at the beach next to it. However, one Thursday, the laws in Qatar changed and no alcohol was permitted near water, so that killed our weekly ritual. Rules and regulations can change without any warning in Qatar and you just have to recognize that fact and let it go. You could still go inside Trader Vic's and on the pier out back, but couldn't get beer at the pool or beach anymore. This was one of my favorite bars in Doha until it closed. They had live music many nights and a good happy hour with deals on drinks. Also, they had a foozeball table which my friends and I used to like a lot. 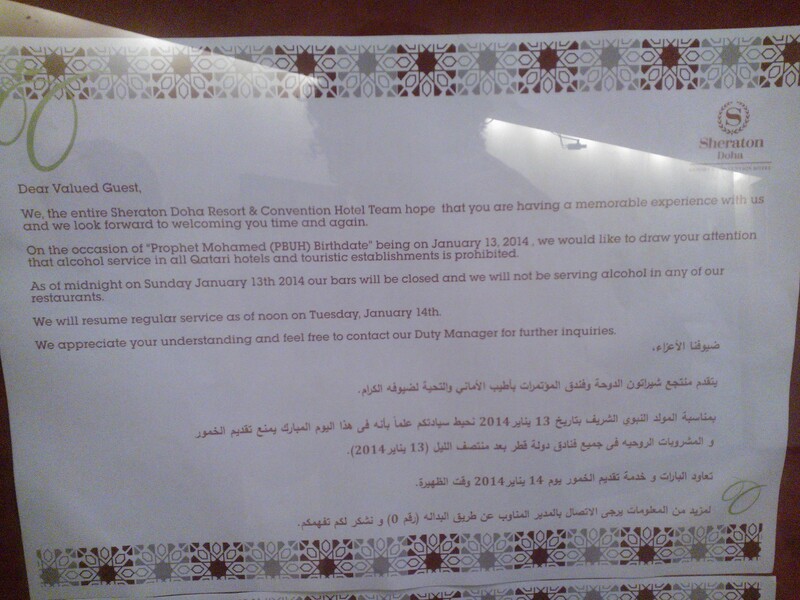 However, one day, the Sheraton closed with less than a week's warning for remodeling. All of the employees were fired without any advanced notice. This is particularly important in Qatar because you lose your ability to live in the country when your employment terminates. Conferences and meetings scheduled there had to readjust and find new locations last minute. Granted, this was the oldest building in that part of Doha by far (by decades), but they had been talking about remodeling for a while and could have been a little more forthcoming with their plans. Yet, this is how things work in Qatar. Sometimes, decisions are made at a level outside the control of many of the stakeholders. One news article cited a prominent member of the royal family hinting at the fact that the hotel may reopen under a different brand after the remodel. I sincerely hope that is the case as otherwise I will think significantly less of the Sheraton brand and how they treat their customers and employees. Before this, it was one of my favorite weekend destinations in Doha. The Irish Harp did have some downsides though. The same band played every night for 3 months, and the music could get a bit repetitive. Then, a new band would get the contract and the same thing would happen for the next 3 months. Also, there were some whispers of prostitution of South-East Asian women there, but it was never overt, and I am not sure if I ever saw it. Crystal is the one club in Doha, though in any other major city, it wouldn't really pass as a club. There are a couple other places around Doha that have DJs and try to market themselves as a club, but this is the one place everyone recognizes as a club. You need to become a member, which costs 150 QR ($40), and lasts for 6 months. After getting membership, you don't need to pay a cover. However, even with membership, you need to have women in your party to get in, or have bottle service. The gender imbalance in Qatar is very extreme, so having women in your party is rarer than it sounds. 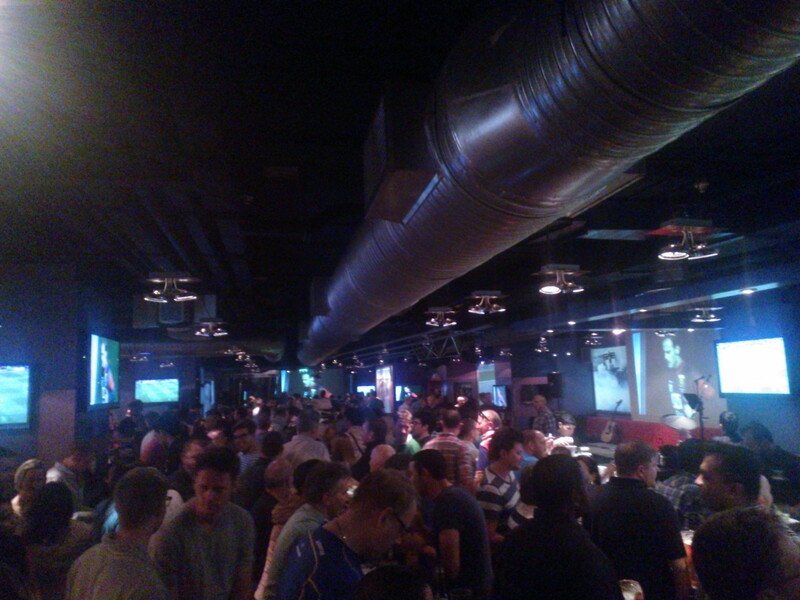 Inside the club, there is still a bit of a gender imbalance. That being said, it can still be a fun place to go and actually feel like you are at some sort of club. If you are staying at the hotel, the requirements for women in your party or membership are dropped. I really liked Wham. Like Crystal, it is also at the W and has a DJ, but it is more of a lounge than a club. There is no membership requirement, nor need for women in your party. However, drinks are a bit overpriced, even by Qatar standards. The best part of Wham is that it has a nice outdoor patio which is very pleasant at night. Also, lots of women hang out there. Wham's outdoor patio is quite nice at night. Strata was an awesome bar for two reasons. First off, the view is amazing. It is on the 55th floor with panoramic views of all of Doha. 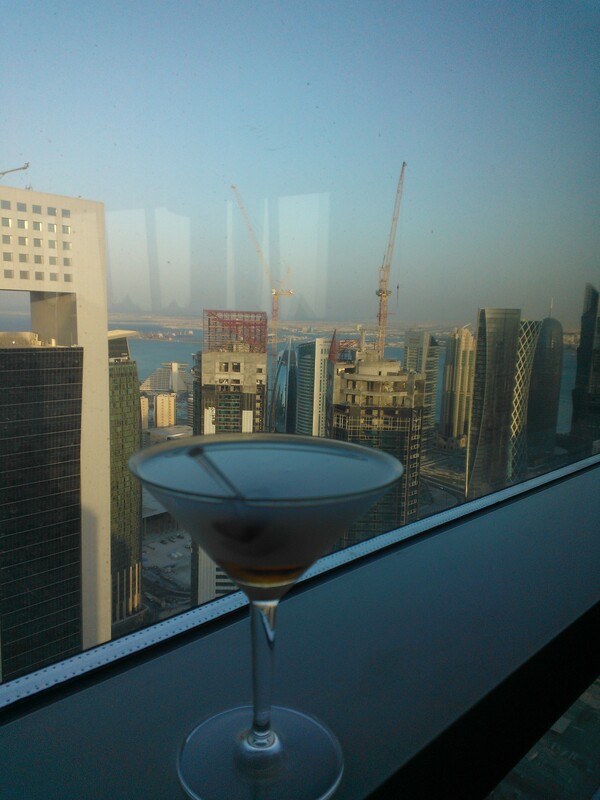 Second, I really liked their Arabian Martini: Arak (Lebanese Anise Alcohol), Gin, Honey, and Dates as garnish. Though really, it was just the view that made me go. You could see all of Doha and it is just gorgeous. 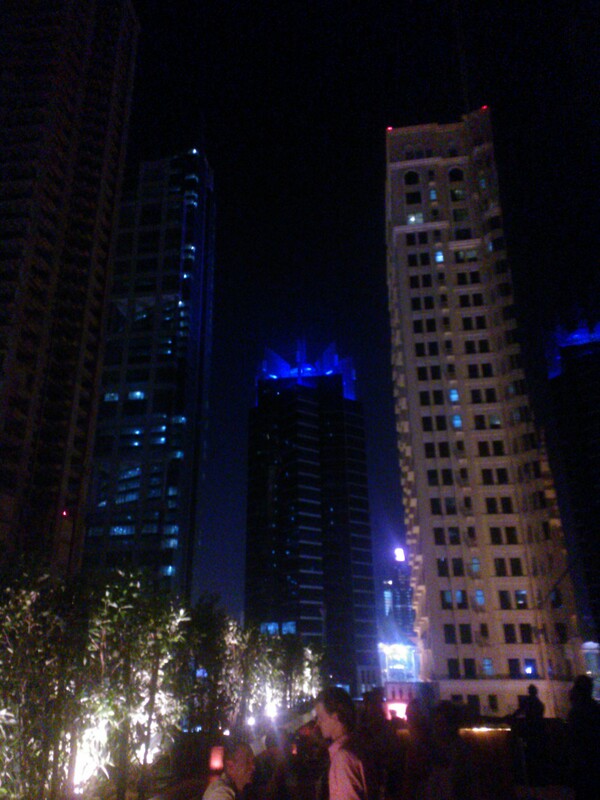 It is worth going to this place at least once, just to see the view of the city. Also, their beer is slightly cheaper than many of the other bars. 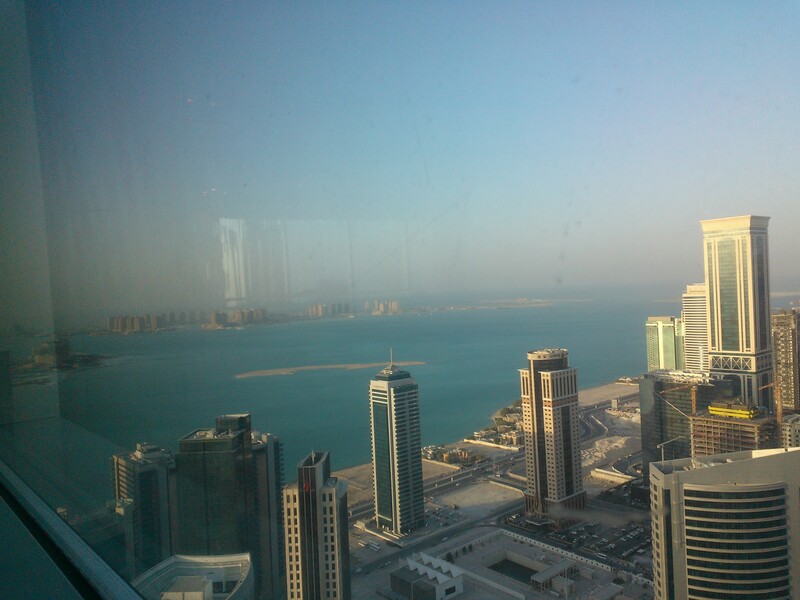 Strata: The best views in Doha. The Belgian Cafe is a nice bar to get decent beer at. 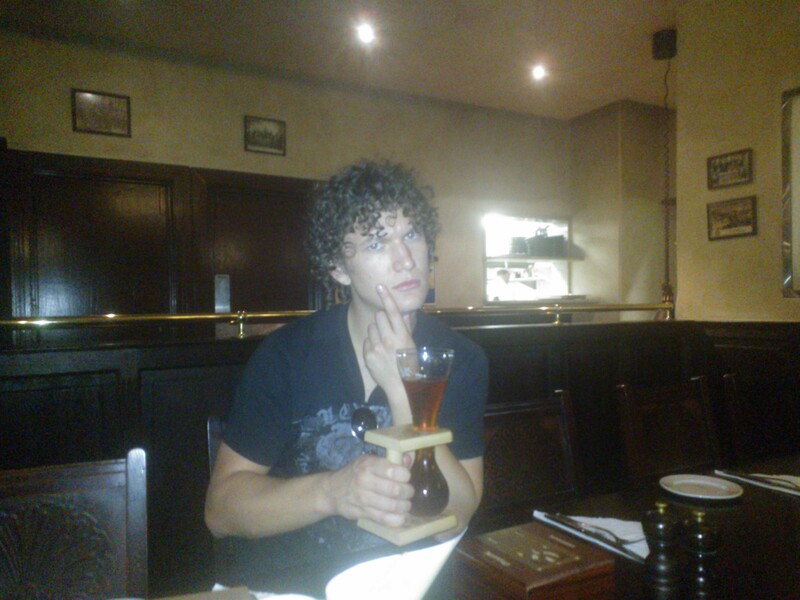 Most places in Doha serve your standard, large chain brewery beers, but the Belgian Cafe has some nice Trappist brews. As with any place in Doha, most of the drinks are very expensive and overpriced, but the prices are more standard if you get some high end beers such as Chimay. My recommendation is to get the beer sampler with frites. You get a decent amount of draft Belgian beers along with some fries and aiolis. You can also do a nice all you can eat mussles brunch at the Belgian Cafe on Fridays, or just order muscles any other time at the bar. The decor is a bit nice as well and somewhat Belgian themed. Note that this is next to the St. Regis, not near all the Skyscrapers in West Bay. The names of the two InterContinental hotels are confusing. Belgian Cafe. Best beer in Doha. Reggae Nights at the St. Regis are some of the best times you can have for nightlife in Doha. They aren't year round, and I'm not sure on the schedule, but it is definitely worth looking into. They have reggae bands playing on a the beach. As it is the St. Regis, the grounds are amazing. Immaculate beach (they yell at you if you enter the water) and right by the pool. They set up a bar in the sand and you can dance the night away, barefoot, and feeling like you are on a beach vacation. The alcohol isn't too expensive either. For a price, you can reserve a table on the beach and get bottle service, but I was always content to just stand in the sand and enjoy the band. I am not sure how they are allowed to have these, as alcohol near water is illegal, but I am happy they do. Generally, I would start the night with some good beers from the Belgian Cafe at the hotel next door, then head over to enjoy the band. 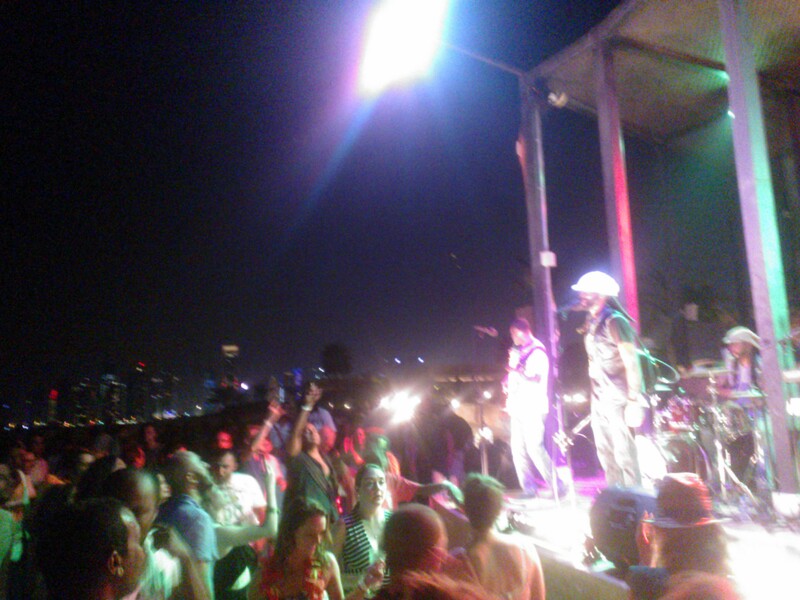 If you like beaches, bands, or reggae, these reggae nights are definitely worth checking out. I am just going to group all of the bars at the Radisson Blu together since the hotel is on Salwa road, which is probably the road with the most traffic in all of Doha. So, if you are going, you might as well hit them all at once. It is also quite far away from where I lived in West Bay, so I didn't go as frequently. My friends and I liked Shehrazad quite a bit. It was a very relaxed bar and the beer was volumous and cheap. They did tell my friend "There are decent people" when he showed up in shorts one day and wouldn't let him in until he got pants - so it isn't that relaxed. The best part of the bar is that it is full of young people and the beer can be served in giant 2 litre "giraffes". The Library, which is on the 11th floor, was also very nice. It was a bit fancier decor, but had some nice views of the city. As it is far from West Bay, you get some nice views of West Bay from the bar. It is a nice place to go if you are looking for a classier bar. I only walked into Orion once. Time Out Doha magazine calls it "Probably one of the most polished, professional and classy establishments in Doha". From my experience, it was none of those things and looked like a brothel when I walked in. 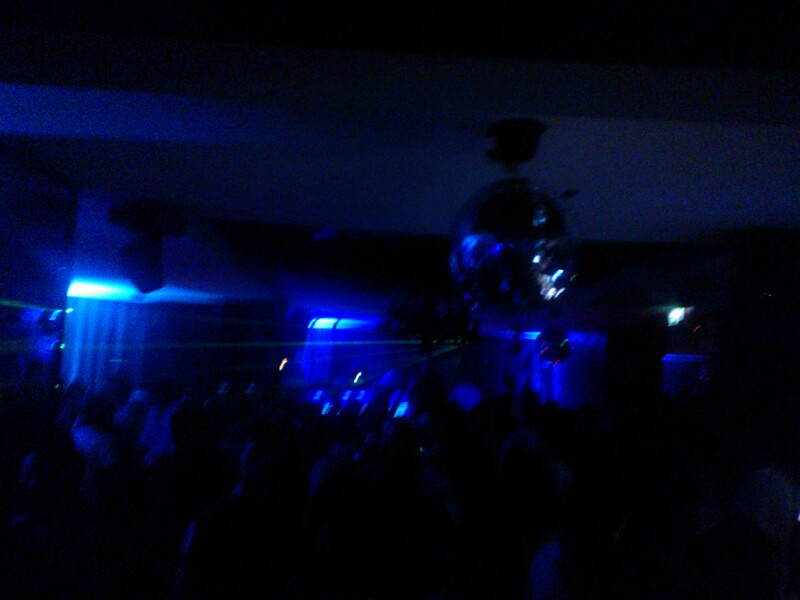 Qube is another one of the "clubs in Doha, but everyone still just thinks of Crystal. I never actually went inside because all I ever saw was huge crowds of single men pushing to get in. It had a strict policy of needing women in your party to go in, but I saw very few women actually going in. I never really liked Champions too much, but it was the one sports bar in the entire country. They market it as an Authentic, American, Sports Bar, but I found that it reminded me more of a diner or Denny's. 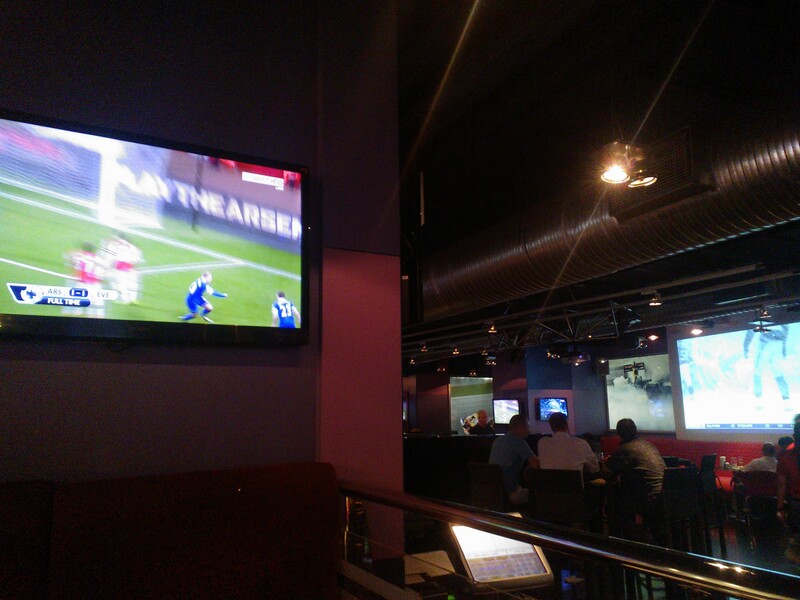 I did end up going a lot as it was the only place in Doha I could find to watch American Football. Generally, they had two games that they were able to get, and often they wouldn't turn on the sound (even though they did for soccer matches). I would joke that I would watch Monday Night Football there due to the time change and shifted work week. Qatar is 7 or 8 hours (they don't observe daylight savings) ahead of the East Coast. The work week is Sunday to Thursday. So, Sunday night, after I got out of work, I could head over and watch live, the first Sunday day games showing in the US. All bars would close by 2am, so I never could see any of the later games, nor the true Monday Night Football games, but it was nice to be able to catch one game a week. Champions ... not a real American Sports Bar. I had to wait for soccer to finish before the NFL game would be put on. 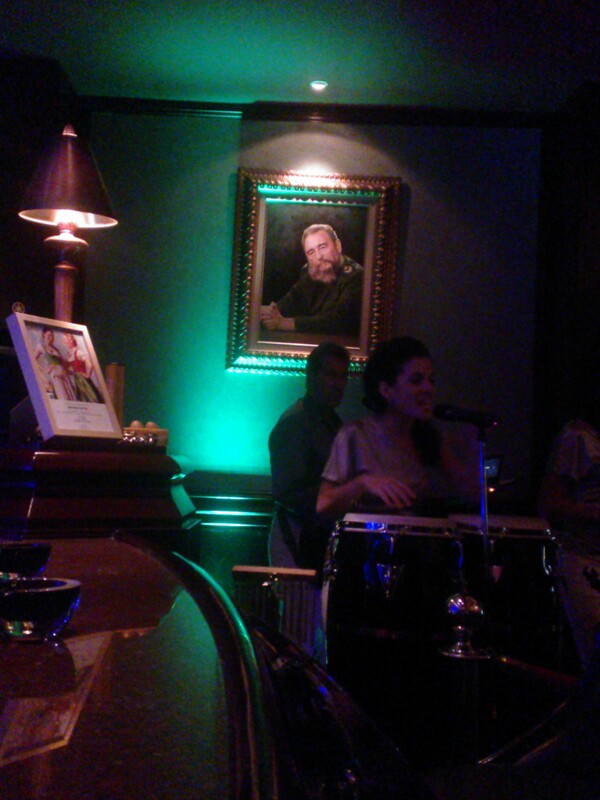 Habanos is a nice, Cuban Cigar bar at the Ritz. As an American, cuban cigars are completely novel to me, so a Cuban themed bar with actual Cuban cigars was quite attractive. Outside, there is a nice patio to enjoy a breeze during the cooler months, and inside, there are some humidors and often a band playing various forms of latin music. If you enjoy a cigar, this is definitely the place to check out in Doha. Habanos: I guess no Cuban Cigar Bar is complete without Fidel. The Admiarl's Club was a semi-decent bar on the marina at the Ritz. It had space for bands, but everytime I went, the place was never too full. It did have some nice views of the bay and some nice yachts, as well as being pleasant to sit on their patio. It's worth checking out if you are already at on your way to the Ritz, perhaps to Habanos. This bar opened right as I was moving away from Doha, and I don't know if it ended up being successful. It is on the 23rd floor of the Ritz, with some nice views of the bay. The Ritz was trying to start a more clubby bar on their premises, and the location used to be a rather subdued classical piano bar. I went to the Grand Opening, and it was fun, but I don't know if it has remained that way. The DJ was definitely too loud, even by club standards, but that is only a small detraction. Also, I haven't heard anything about the place since its opening, so I am not sure if it was successful.